She has won titles in New Zealand and won major titles overseas too, and now motorcycle ace Avalon Biddle is on the verge of creating history yet again. It was a landmark win when she snatched victory in the New Zealand TT Championship Trophy race at the third round of five in this season’s New Zealand Superbike Championships at Hampton Downs last month and her momentum may yet earn her the national Supersport 600 title at the final round of the series this coming weekend. If she does, the 26-year-old Biddle will become the first female to do so. 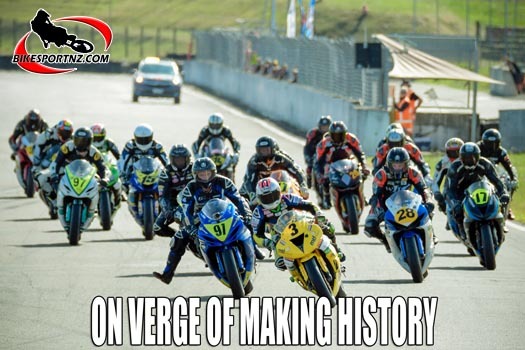 The Kawasaki racer from Rangiora was again in sensational form at round four at Circuit Chris Amon, Manfeild, on Saturday and Sunday. Biddle (MTF Finance Kawasaki ZX6R) had started the weekend at Manfeild 22 points behind Manukau’s Toby Summers (Carl Cox Motorsport Kawasaki ZX6R), but then she qualified fastest on Saturday and finished 1-1-2 in her three Supersport 600 races, winning the event overall and soaring past Summers and into a 29-point championship lead in the 600cc class. While that was great news for Biddle, it was devastating for her friend and fellow Kawasaki rider Summers. The dynamic duo have been virtually inseparable at the head of the class this season and they still hog the top two positions, albeit now switched around. Summers impressed at rounds one and two of the series in the South Island in January and he was in devastating form again at Hampton Downs too, finishing with a 1-1-2 score-card over the weekend. But two crashes at Manfeild’s round four on Sunday have now undone all his good work and a risk-free approach to racing at Taupo’s Bruce McLaren Motorsport Park next weekend should be enough for Biddle to create history and clinch her first national Supersport 600 title. “It worked out better than I expected this weekend. I honestly didn’t expect to come here today and take pole and then two wins,” said Biddle. “That’s phenomenal for me and kind of lucky for me that Toby crashed out twice today too. “My ambition was to come to Manfeild and close up the gap on Toby, to still be in with a shot for winning the title at Taupo, but to come away with the lead is unbelievable really. “The track temperature in the afternoon was a bit hotter than the morning and that made the tyres slide around a bit. It was quite slippery. “I was very wary of not losing the front end. I had a few scary moments. And then when I saw Toby crash, I knew I had to be careful to not do the same and just finish the race. “I am not going to Taupo with any expectations. After finishing third in this class last year I knew I’d have the pace to win this year. Obviously I’m in a good position right now, but anything can happen in racing. At the conclusion of the nationals she intends to race in Australia, with “plans to be announced … watch this space”. Other class leaders after round four of the series are Glen Eden’s Daniel Mettam (Superbikes); Palmerston North’s Jacob Stroud (Supersport 300 class); Papamoa’s Leon Jacobs (250 Production class); Jacob Stroud (Superlites); Whangamata’s Ben Rosendaal (650 Pro Twins, provisional); Australia’s Yanni Shaw (125 GP); Hamilton’s Jesse Stroud (GIXXER Cup) and Christchurch’s Dennis Charlett and Will Clim (sidecars). It’s interesting to note that Biddle won the Women’s European Cup back-to-back in 2015 and 2016 and she also won the national Superlites title in 2015. 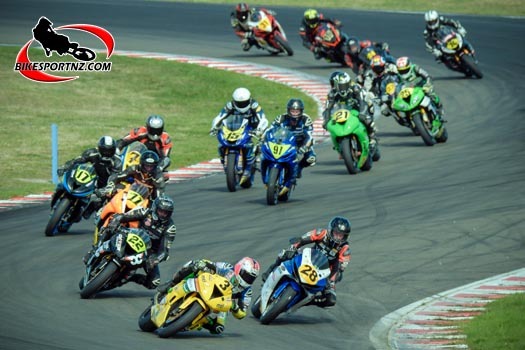 The 2019 New Zealand Superbike Championships will wrap up at Taupo’s Bruce McLaren Motorsport Park this coming weekend, on April 6-7.